So to the sound of 100 drums….Tadah…lets get this Pattern Tester Roundup SUPER MODEL catwalk started. !!! Alexandra T from Melbourne Australia. I chose the High/ low hem option as I wanted to make a classy event / date night outfit. I decided to make this out of a loose weave 100% cotton for a more casual look to the dress making it perfect for summer BBQ’s and winery tours. From Darn Cheap Fabrics. No alterations except making a size 2 C cup and graded to a size 3 at the waist and hips. I really take my time with the measurements and final garment measurements before deciding on a size to cut and think that extra time before hand is always worth it in the end as you get a much better fit straight off the bat. I enjoyed how quickly it came together. Despite how elegant and time consuming it looks it is really a very simple sew. I can style Clara with mules (as pictures) for day looks or some navy pumps to take it into the evenings. 3 Cotton for the black print because I’m very casual, poly satin for the pink to dress it up as an homage to it’s vintage inspiration. 4 I just took the waist in and adjusted for sway back. 5 This was my first DS pattern- easy to print and assemble, clear instructions. 6 Please, I don’t go out. 7 Sneakers or casual sandals for the black, heels and a stole for the pink! I chose the below knee length Clara for an African inspired Easter dress. I used an Ankara African Wax print fabric that I purchased from www.waxprintslacesnmore.store Etsy shop. To achieve the perfect fit, I shortened the pattern, graded sizes, and did a sway back adjustment. Learning how to make a sway back adjustment on a dress was my favorite thing. I’ve only made sway back adjustments on pants so far. I have not worn my Clara yet. She will be my Easter Dress this year! I am styling my Clara with a matching Ankara Head Wrap. Hi there, Becca Olson from Northern Florida.There was never even a question of which version of Clara I would make first. The longer hi/low version just screams retro and simple elegance..I absolutely fell in love. I will make more versions but this had to be my first. I used a nice rayon with an amazing drape. I had ordered other fabric but none of them ever showed up. I am dreaming of this in a beautiful sheer embroidered with a silk slip. I just need to find the right fabric. 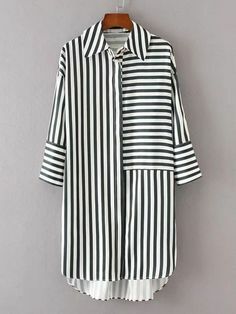 I did find this Rayon from Joanne Fabrics. The blue was the exact color I wanted. I didn’t have to do many alterations. The main on was the sway back. It is SUPER easy and didn’t take long at all..I would recommend looking up a video on YouTube. I am so glad I did it and know it will be an alteration I use in the future. Clara is so feminine and made me feel so vintage and beautiful. Ive only wore her for my modeling for the photographs. I made Clara for a special occasion coming up in April. The entire time though I did wear Clara though I had many compliments and even my grandsons thought Nana looked so pretty. My name is Carmen, I live in New Zealand, but I am originally from S/E Victoria. I chose the hi-lo with flutter sleeves because as soon as I saw the artwork I knew it would be perfect for an art deco event I have coming up. The style second one was dictated by a piece of fabric I bought. Knee length flounce with cap sleeve, less formal, more fun. The first dress was quilting cotton with a mosaic print, reminiscent of stained glass, it was an op-shop find, and it matched perfectly with some green satin for the flutters and flounce, I received that piece in my secret Santa parcel from a girlfriend. The floral fabric was another opshop find, cotton satteen ( no spandex) I saw it and knew it had to be another Clara. I sewed a 7d ( dd? The biggest one) for bust and waist, blended to an 8 hip. I needed to remove 3″ from the centre back seam, by only to the waist. I did a 2cm sway back adjustment and took 4cm from the front and back bodice depth. I love a quick sew, so after 2 muslins to work out the kinks to fit my body correctly, the pattern I had went together super fast. For the hi/ lo at the party I will wear some pearls and heels. I took 1 extra cm in at the princess seams . It then fit perfectly. It is easy to sew . My name is Genevieve and I live in Johannesburg, South Africa. I chose the thigh length, v- neck, cap sleeve Clara. I chose thigh length because it’s out of my comfort zone but I wanted a cute dress to wear for basically any occasion. I used a gorgeous crepe that I found at my local fabric shop. I started by making a toile of the bodice and the fit was pretty perfect for me. I’m a 3 on top but I needed to grade to a 5 at the hips. For my final I added 1/2” to the length of the bodice to accommodate my legs – I have a short body and long legs. Once I had my fabric, I was super excited to make my dress. My favorite part was adding the double ruffle to the bottom. I haven’t had an opportunity to wear my Clara yet, sadly but can’t wait until I do. I definitely believe is wearing all my clothes when I want – I don’t “save” them for special occasions. So I’ll be styling my Clara with either pumps or sneakers or sandals for everyday and heels for formal. My name is Ilse and I live in Belgium. The knee length was my first choice because I don’t like too short. I chose a crepe fabric and obviously it wasn’t the best choice because this design don’t need any stretch. Luckily I could adjust it, phew. The design is as always spot on, so further then my mistake to take a wrong fabric it was perfect. My favourite thing was adding the flounce, it gave the dress that special look, love it! I plan to wear my dress next week on a parent’s evening and I’ll combine it with a jean jacket. I chose the thigh length, because my legs are my best quality. I took Ann’s advise and went with a tiered skirt and cap sleeves and i am happy i did! I got my fabric at Joann Fabrics its Crepe woven . I had to do quite a bit of alteration! Center back hip grading and bust shaping on princess seams and side seams. But man was it worth it! Ann was patient with my inexperience in womens woven dress making ( a year ago i would have never tried) and the result is incredible! The amazing guidance i recieved and the incredible support from everyone! Im pretty simple and dont wear a lot of jewlery but a pair of boots give my Clara a casual look and a quick change to heels make it the perfect date dress. I chose the thigh length, as it is NEARLY spring here and I can’t wait to wear something other than snow pants! I originally chose the cap sleeves, but after my toile, I learned that I needed the flutter sleeves. I learned so much fitting this dress! -cap sleeves and my athletic shoulders won’t ever work! -I blended sizes from 3-2-1 to suit my upside down triangle body. -I lessened the zipper seam allowance at my upper back by ¼” and this is the first dress I can actually breathe in! Made all the difference in the tightness of my upper back. -I also learned how to install an invisible zipper with just a regular zipper foot! -I added 2 inches to the length of the flounce to account for my long legs. My favourite thing about making the Clara was learning exactly how to fit my body – and what looks best! Sadly it is still -10C so I haven’t worn it anywhere 🙁 My husband and daughter both thought it was stunning! I styled my Clara with Betsy Johnson retro black pumps with strap and my late grandma’s favourite string of pearls. Hi, my name is Meghan and I am currently residing in West Africa. I chose the long high-low style of Clara because Ann is kind of a genius and thought that length would best suit my fabric choice! I opted for the v-neck and capsleeves. My fabric is locally known as lappa, but most people call it Ankara or wax print fabric, and I found it at one of the local shops in my city. Getting just the right fit on Clara was a bit more involved because of the closer fit and silhouette. But the princess seams make it easy to contour and get that desired shape. I found I needed to take in a little under the bust, below the hip line at the front, and a bit at the upper back in the darts and zipper. My favorite part about making Clara is seeing how easily it went together to get a super classy result! A friend of mine who saw me in my Clara loved it and naturally wants one too. For my photos I wore my Clara with a small heel but I think it would be stunning with some real height in those heels! — Taking in the above busy princess seams and also taper in the seams from waist down. Had to take out a big chunk of wedge from the top of CB seam and taper into the waistline. Some of these adjustments were made according to your suggestions. The rest I just eyeballed it lol. –to learn what to look for the fitting issues and how to solve them. –just for the photo shoots but yes got lots of good feedback from the dress. short because I don’t wear long dresses, and I love the sleeveless! I blended out a bit at the waist and ended up taking in a bit under bust and for sway back and at the front hips. I usually sew knits, so this was a fun learning experience with making my muslin. My fiance can’t stop whistling at it… lol and my 17 year old son said it was “pretty” so that’s a good compliment, considering the source. Wedges and pearls, way more girly than my normal style. 4. What alterations did you have to undertake for the Clara for fit – and what did you learn from it ? I shortened the Clara by 1 inch as I’m only 5’2. I also had to take in the CB seam as there was excess fabric there. How easily it came together! I know most of the other ladies are rocking their Claras with heels but because I wanted a fun, youthful look, I went with white sneakers to give my Clara a casual, slightly sporty vibe. My name is Shilyn J, and I’m in VA, US! I chose the thigh length version with a round neck and cap sleeves. I normally go for longer lengths, but I recently got my tribal tattoo, which I couldn’t wait to show off! I did a sway back adjustment, about an inch. I LOVE how easy the princess seams fit together! I usually try to rush them, curse, seam-rip, and re-do. But the pieces fit so perfectly, it was amazing! Not yet, but my husband LOVED it when I had to wear it to take pictures! One of my good friends also saw the pictures, and is begging me to make her one! I just wore a simple short heel and a side braid to keep with the sweet yet flirty vibe.